Fun with friends, bright sunlight, sand dunes, and the smell of the sea – This is how summer comes to me! What’s your definition of summer? Vibrant sunflower facing the sun as if it’s sending a thank you note and the sweet chirping birds spreading the melody – We are here to bring this awesomeness inside your room with some summer special home wallpapers from Excel’s treasure trove. 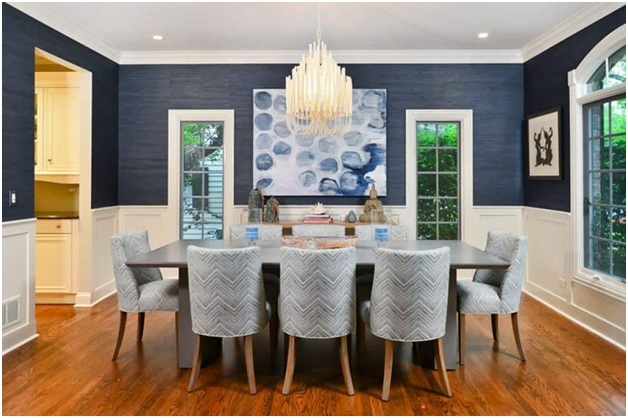 Bringing in the effervescence and free will of the summer days, we have selected a few hot summer wallpaper designs for bedroom, living room, and various other parts of your home. When the curtain is moved, the light of the shining sun intrigues us. What if this sun gets to shine bright on the walls with luminous home wallpapers! The water-coloured wallpapers infuse vivacity along with a sense of freshness and liveliness on your walls. Get them spread over the entire dimension or just give a small touch of summer vibe. The crisp edges and the complex details bring up a high resolution look. So those who are planning to stay back home, can take a trip around the world with the modern mural magic brought right inside your home. The wallpaper designs for bedroom and living room are featured mostly with this style of wallpaper. In case you want to mix and match with these murals. We got you covered, coz the modern murals are always ready for mingling. The bright yellow with teal blue or the light pink with the dark woody browns – With murals there’s always a space of you to play with your artistic skills. 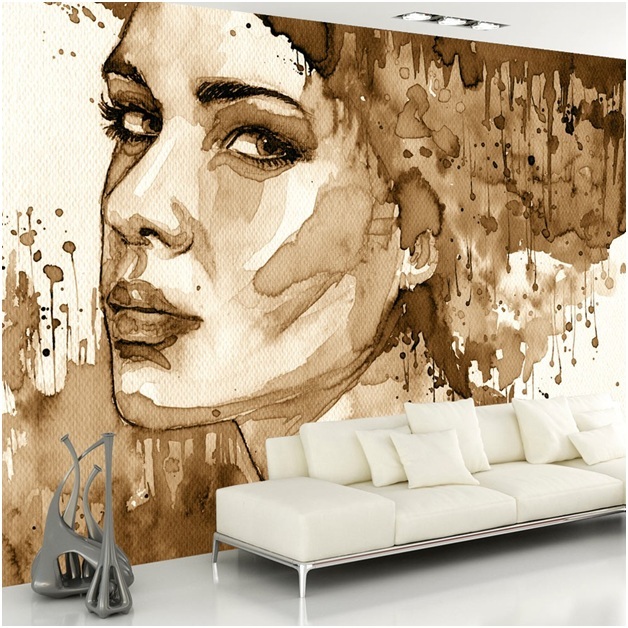 Unlike most others, murals are fully customisable, whether it’s black and white or sepia. This pattern trend has always been on the list of the top most selling wallpapers since ages. The never out of fashion geometric quirks are going to be a focus in this summer as well. The pastel colours with such patterns make the look radiant and dynamic, giving an open atmosphere feel to your home wallpaper. 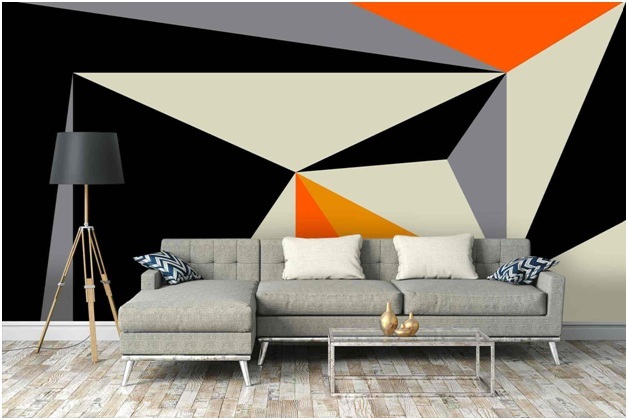 Soothing to the eyes and mind, these geometric patterns can bring exclusivity to the interiors. Be it Picasso or Van Gogh, whoever might be your favourite; just bring their touch on your walls. Sounds lucrative, isn’t it? The artistic touch with natural materials like grasscloth can bring out the elegance that none other can. Minimalistic designs with eco-friendly materials as your wallpaper designs for bedroom and living room are going to give you that forever feeling. 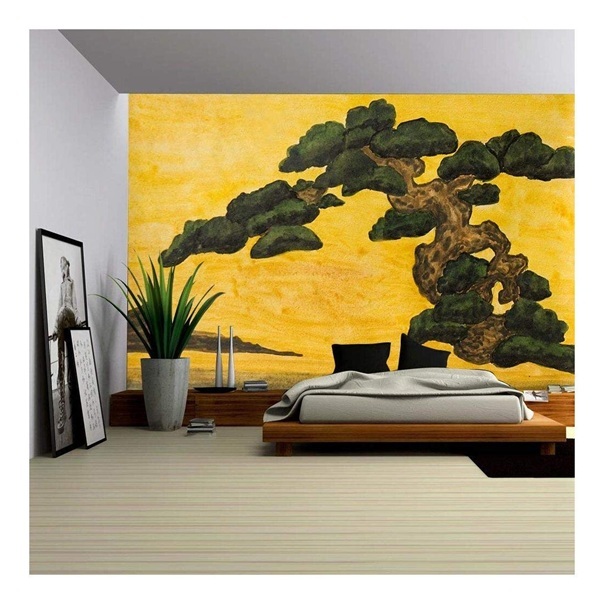 Larger wall spaces in these rooms make the artistic wallpapers come out vibrant and gorgeous.